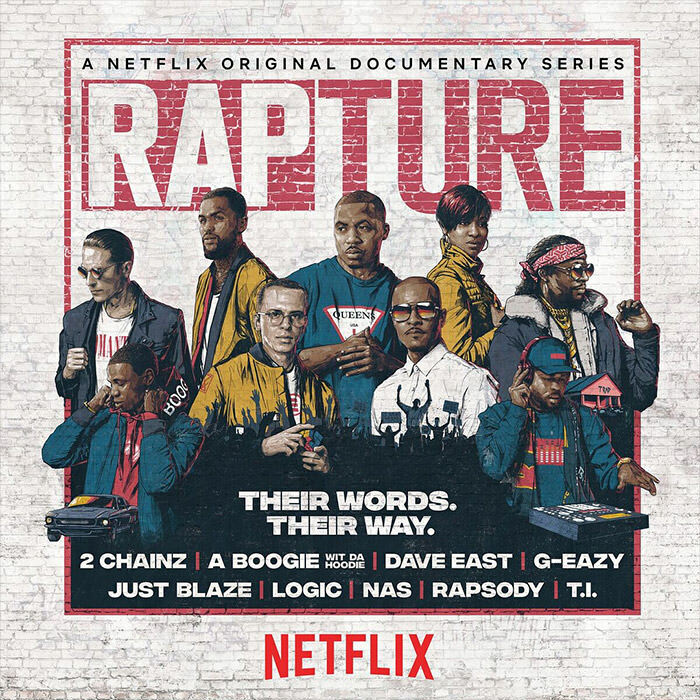 Earlier this year, Mass Appeal teamed with Netflix for an eight-part series called Rapture that featured ‘coming of age’ stories from Logic, Nas & Dave East, T.I., G-Eazy, 2 Chainz, Rapsody, Just Blaze, and A Boogie Wit da Hoodie. Looking to take things a step further, the label has released an accompanying soundtrack with new music from each artist involved. Outside of Logic’s “State of Emergency” with 2 Chainz, which lives on Bobby Tarantino 2, the six-track release includes fresh collaborations from G-Eazy and Just Blaze, T.I. and Rapsody, 2 Chainz and Killer Mike, and Dave East and Nas. Peep the tracklist below and be sure to check back FridayThursday at midnight for the actual music.